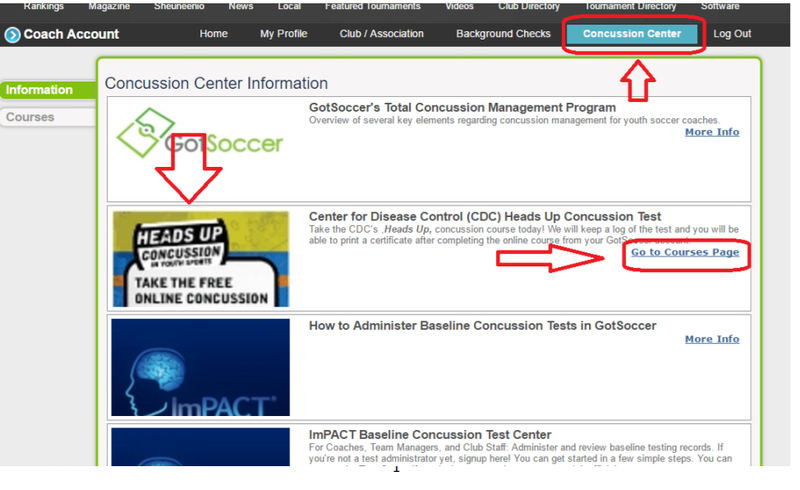 Effective immediately, all BASC Coaches must take this mandatory concussion course & test. Senate Bill 1164 was signed into a law in June 2016, which relates to sports-related injuries and concussion training. 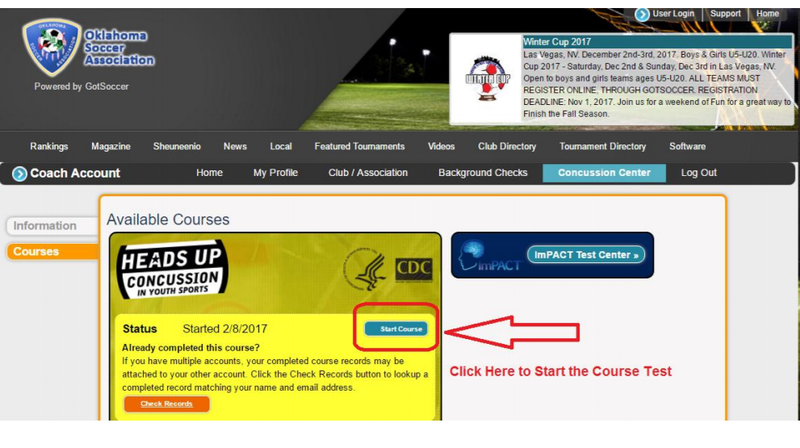 Oklahoma Soccer Association has made it mandatory to take this class/test. Coaches will be removed from their team account on if this has not been completed. See picture examples on page 1 and page 2.